The charm of the hill overhanging the sea, a wonderful choreography that seems to have been designed by a romantic painter who traced an extremely intense painting, a treasure, vaunt of the Province of La Spezia, destination for tourists from all over the world. Houses and paths suspended between the earth and the sky, make it a natural beauty unique also because kept intact and faithful to the nautical tradition. 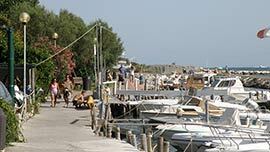 Our journey in the beautiful places characterizing The five lands, starts from Brugnato motorway's exit. 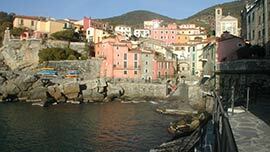 Then , trespassing Borgetto Vara, Pignone, we'll reach Monterosso, the first of the five little villages. The arrival is made much more suggestive by the peculiar nature of this place, got out of the rocks. The tourist is welcomed by the Statue of the Giant (a Neptune rested to the cliff to guard the sea). 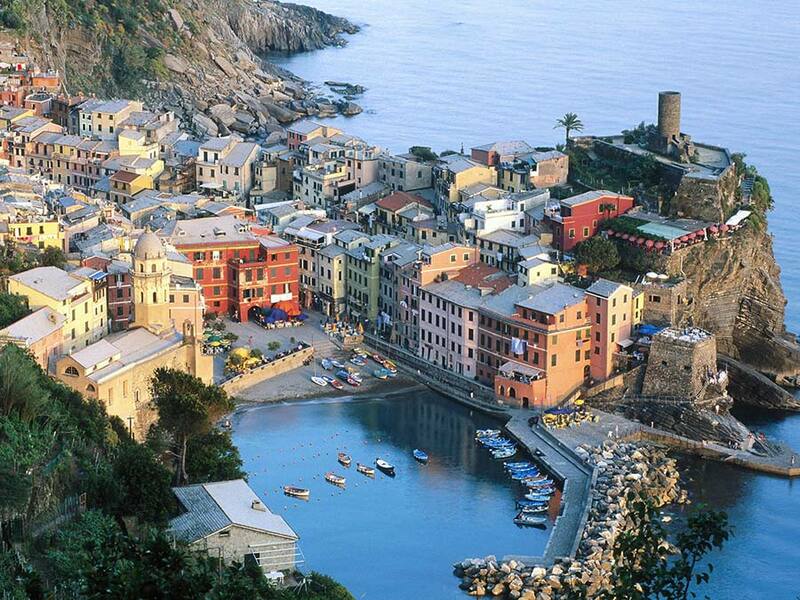 Then Vernazza, Corniglia, Manarola and Rio Riomaggiore. These places are jointed by the so called "The Lovers' road": this is the most romantic and suggestive image of an extremely fascinating natural fresco. To those who love good wine is dedicated a peculiar speciality: the sciacchetrà. This is a white wine got out of the vine yards characterizing these zones. This wine is produced in limited amount and worthy of real connoisseurs.